Last weekend was really hectic in terms of wine related events. On FRI evening I had dinner with Raluca and Oliver Bauer and tasted some older wines they brought. We shared these wines with Mr Sorin Petrescu(the owner of Vinimondo), his wife and Vlad, another friend of the Bauer’s. We met at the same restaurant where there is going to be a special wine tasting event on the 12th of March, organized by Oliver with old vintages of Bordeaux from 1970, 1985 and 1996 and a 2000 Magnum of Sauternes. There will be a total of 12 different wines with two wines served from Magnums. I’ll post more details about this event later on. Coming back to the FRI evening the wines we sampled were three Spanish wines, a South African Cabernet Sauvignon and two German Rieslings. None of the wines was decanted and, with one single exception, there was no need for that. 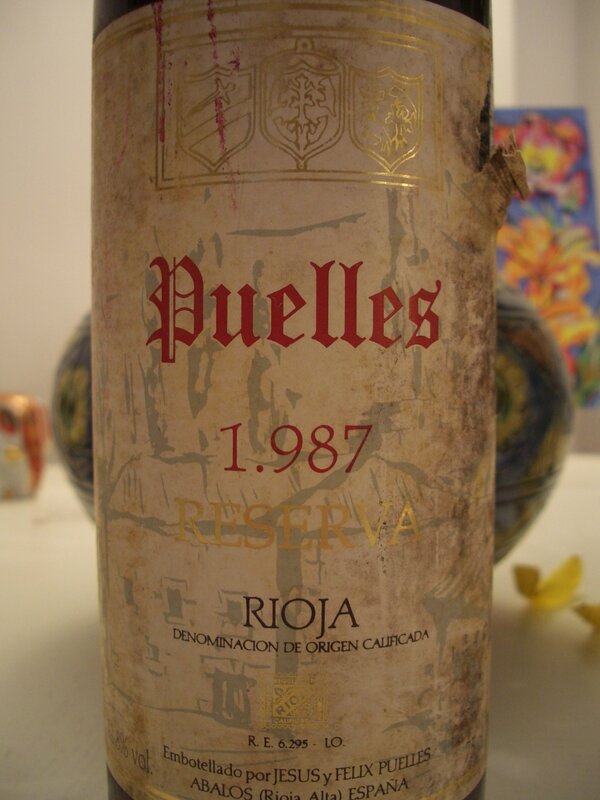 The oldest wine, from 1987, would surely have benefited from decanting as it remained closed until the bottle was empty. It actually emptied the first one and very quickly. Never underestimate the thirst of a group of wine geeks. 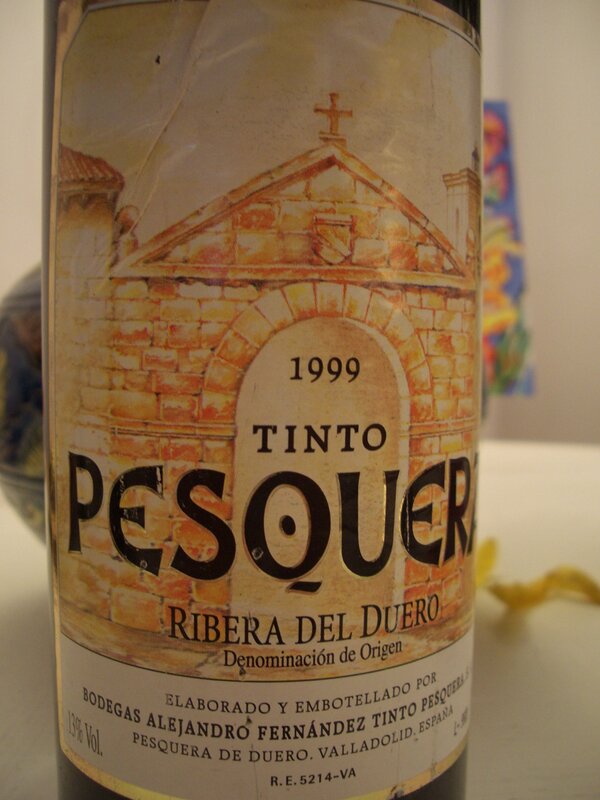 1998 was a better vintage in Spain than the 1999 and this showed very clear when tasted the following wine. 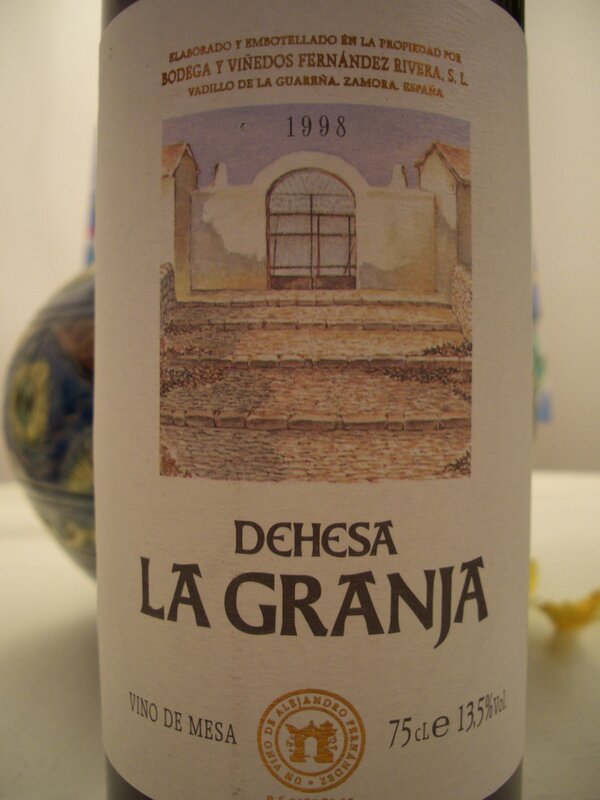 The Dehesa La Granja, made by the same producer as Pesquera, showed better this evening. For me, this was the surprise of the night. The Bauer’s spent their winter vacation this year in South Africa, visiting wineries and this was one of the wines they brought home. 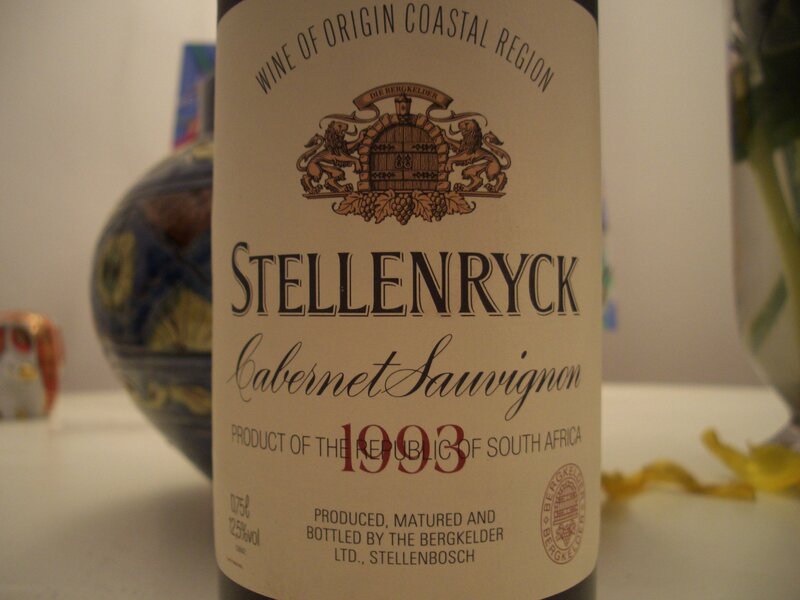 Based on their stories, the older vintages of South African wines are of no interest in that country. That is the reason why this wine didn’t cost more that just a few EUR. The style is so old French Bordeaux that you would easily take it for an old Pauillac. This wine needed decanting and we didn’t grant it. The wine was poured directly in the glasses and after an initial sip, left there to breath for about 30-45 minutes: not enough. 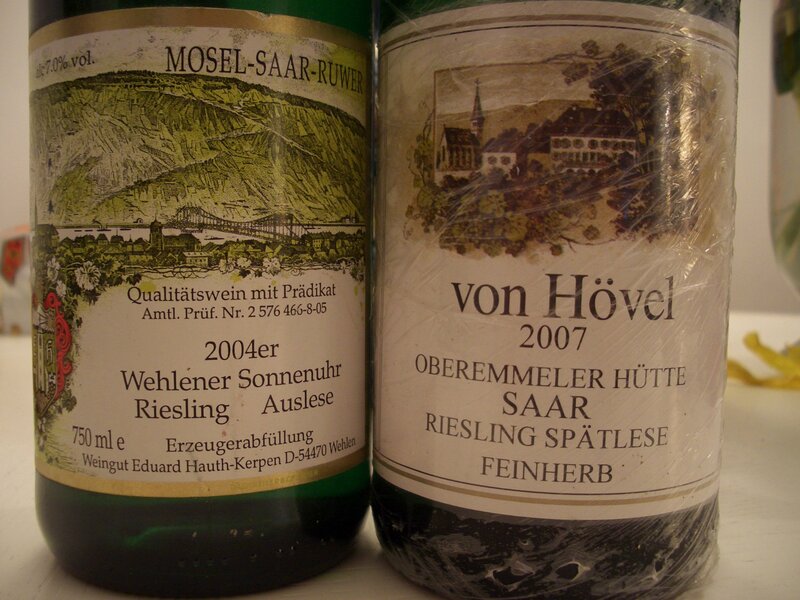 Once the meal and the red wines were finished we uncorked the Rieslings. We also tried two Romanian wines that will be released on the market soon: a Merlot with strong barnyard aromas from Mr Petrescu and a blend of Merlot-Feteasca Neagra(Black Maiden) that I received as a sample from the producer. There is a new 50 ha winery in Romania that employs the services of Mr Willi Opitz as winemaker. More details about this new winery in a future post. The dinner finished late in the night, but the experience was very enjoyable. SAT and SUN I was at the wine fair organized by Vinul.ro in the Old center of Bucharest sampling wines. I will post my impressions about the wine fair, the newly launched Romanian sparkling wine from Stirbey winery and some other wines I had together with the same Bauer’s on SUN evening over the next couple of days. Last weekend I lived one of the most special moments regarding wine tasting. 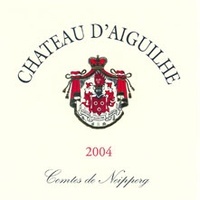 Just to briefly do a short review of the wines of the weekend, I started on FRI with an interesting wine from Cotes de Castillon made by the very same person that is behind the Enira and Alira venture: Comte Stephan von Neipperg and his Chateau d’Aiguilhe 2004. I bought this wine from a wine shop in Bucharest that had it on a big discount sale. 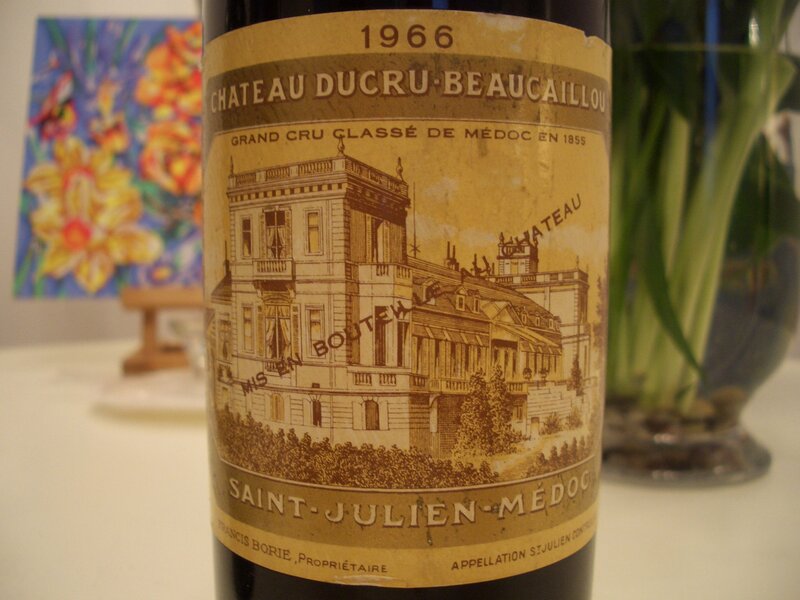 Last week I managed to buy a really special and old bottle of wine from a seller in Romania: a Chateau Ducru Beaucaillou 1966. I had some doubts about this bottle of wine not knowing its provenance, but the high fill level and the perfectly preserved label were very encouraging signs of a proper storage. 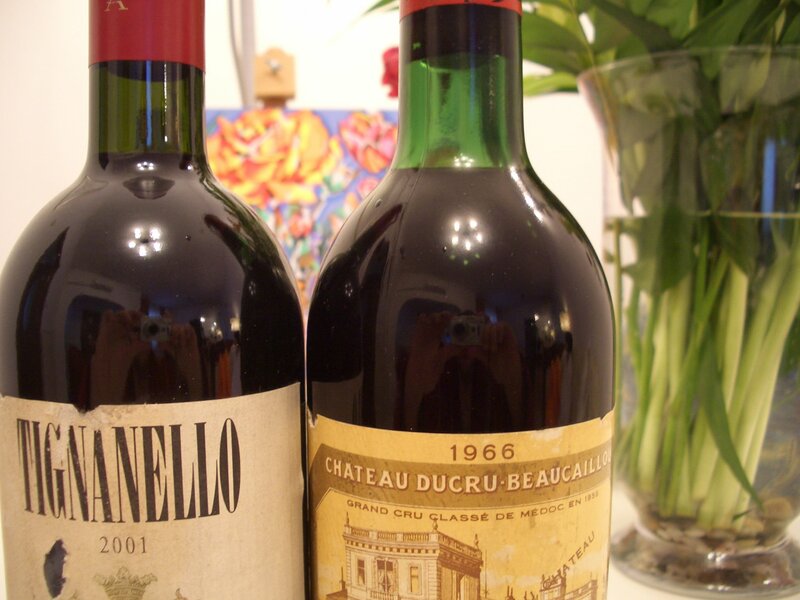 Purchasing an old bottle of wine is always a risky business as you never know if the wine wasn’t corked from the get-go or the wine didn’t suffer from heat, cold or lack of humidity that dried the cork during its life. However, I bought it anyway together with my friend, Calin, and decided to drink it this weekend. Opening a special bottle of wine is a celebration in itself. SAT evening, together with our better halves, we visited Escargot restaurant for dinner. I opened both red wines prior to arriving at the restaurant. 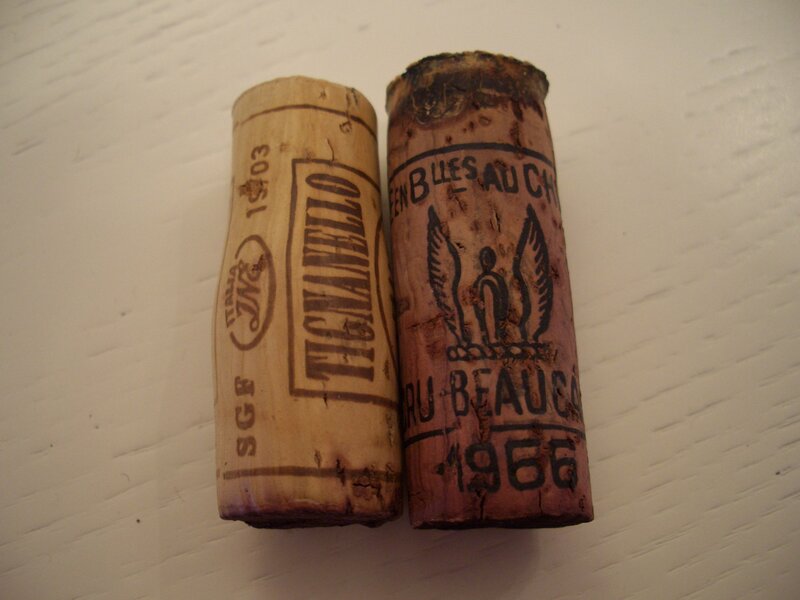 I was a little bit nervous about opening the 1966 Ducru as, on the outside, the cork looked almost cemented to the bottle and I feared a regular corkscrew would prove to be inefficient. So I tried to clean the top of the bottle as best as I could with some wet napkins and get all the dirt between the bottleneck and the cork before using the corkscrew. To my pleasant surprise I had no problem pulling out the cork in one piece. 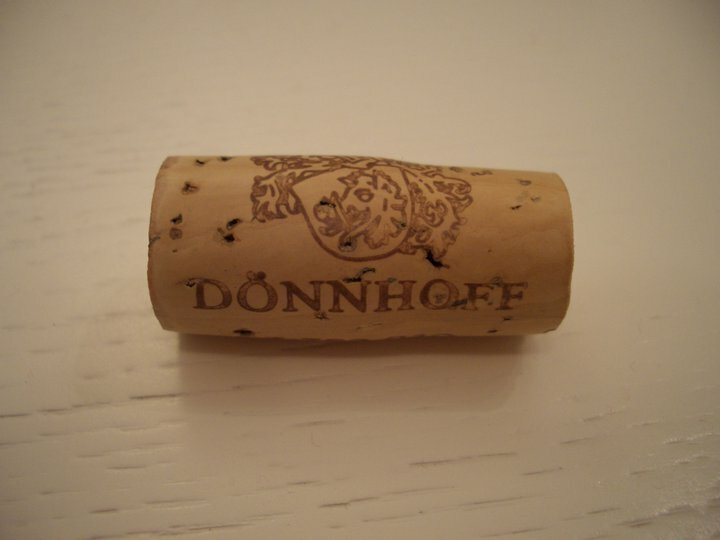 The cork was completely soaked in wine so the wet walls between the bottleneck and the cork made my life very easy allowing a perfect extraction without too much effort. 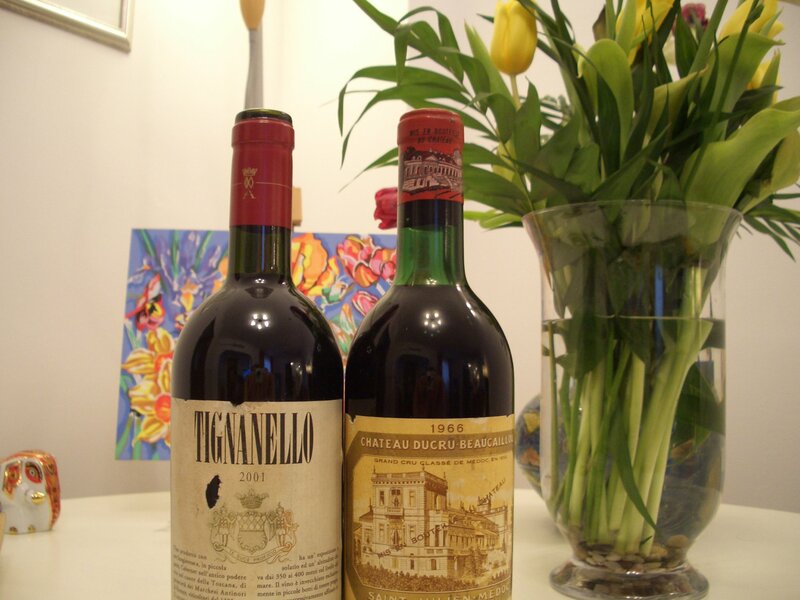 I encountered more resistance uncorking the 2001 Tignanello which also came out in one piece but with harder effort. So having the wines uncorked, we went to the restaurant where both wines were put in separate decanters to allow them to breath and open. We started the meal with appetizers and a white 100% Sauvignon Blanc from Pouilly Fume. While this wine has basic flavors without any particular complexity, it was a happy companion to the appetizers. Our host, Razvan Exarhu, explained us a little bit about his new TV show: Romania delicioasa (Delicious Romania) and the trips he had while shooting it, about the experiences meeting different interesting people and the difficulties to broadcast it with an improper advertising. A very funny thing was the surprise everyone appearing in the show had, that after recording for hours, their moment of fame was no longer than just a few minutes. It is understandable considering the TV show lasts only 30 minutes and Razvan’s intention is to build a dynamic story. A show to watch. 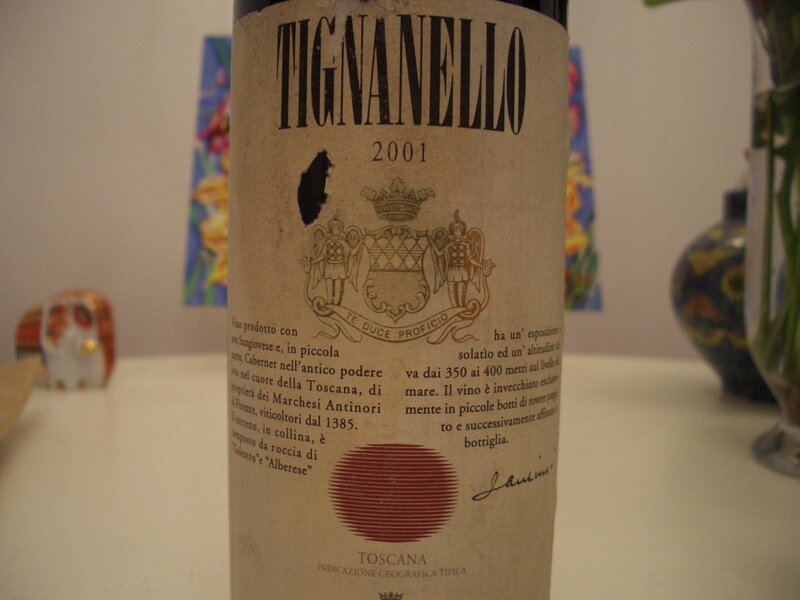 As we finished the appetizers and the second course was about to arrive we poured in our glasses the first red wine of the meal: the Tignanello 2001, a Super-Tuscan, made by Antinori in an International style that has charm and it is already hard to resist not liking it. While having the main dish: a rare beef steak with grilled vegetables, the last red wine is poured. The 45 years old Ducru-Beaucaillou surprises everybody with its youthfulness and purity of aromas. 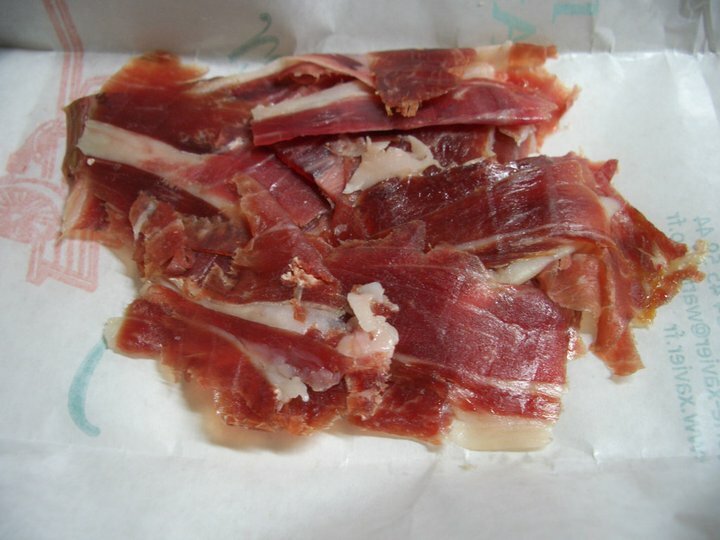 The dish is a perfect choice as it allows the wine to fully shine and enhances its flavors. This is a classic Bordeaux showing a really amazing good shape today. While the wine had its peak, the acidity still gives this wine plenty of years to last and to pleasure the palates of the fortunate ones that still have some bottles left in their cellars. At 45 years old the wine shows a great personality. We all felt that we lived a special moment when smelling and tasting this wine. We left the restaurant extremely satisfied and glad that we were able to share such an unique experience. 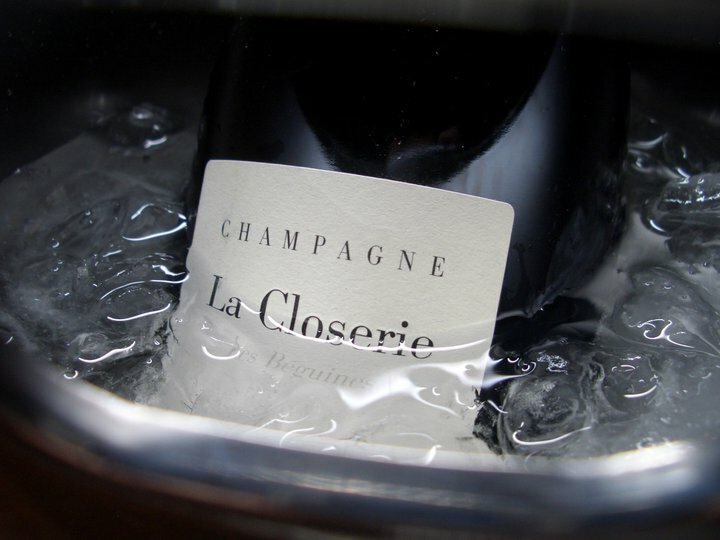 Exceptional wine has the strange power to warm people’s hearts and bring the best in them. I received an invitation from Artmark – an art auction house established in Bucharest – to attend the sale of some old Romanian wines that will take place on Feb 24th, 2011. They also sent me a printed presentation catalog about the auction and the lots available. The catalog contains general stories about what happened globally during those particular years matching the vintages of the wines and generic information about grape varieties. There are bottles of Pinot Noir, Muscat Ottonel, Chardonnay, Rosu de Minis, Cabernet Sauvignon, Pinot Gris, Merlot with vintages ranging from 1937 to 1960 produced by Murfatlar, Podgoria Minis and Podgoria Pietroasele. The majority of the bottles contain sweet or medium sweet wines with a couple of exceptions of dry ones. Most of the wines have estimated values between 400 EUR to 1500 EUR per bottle. Some wines have very low fill levels and the bottles are dusty and dirty, making impossible to see the fill level. 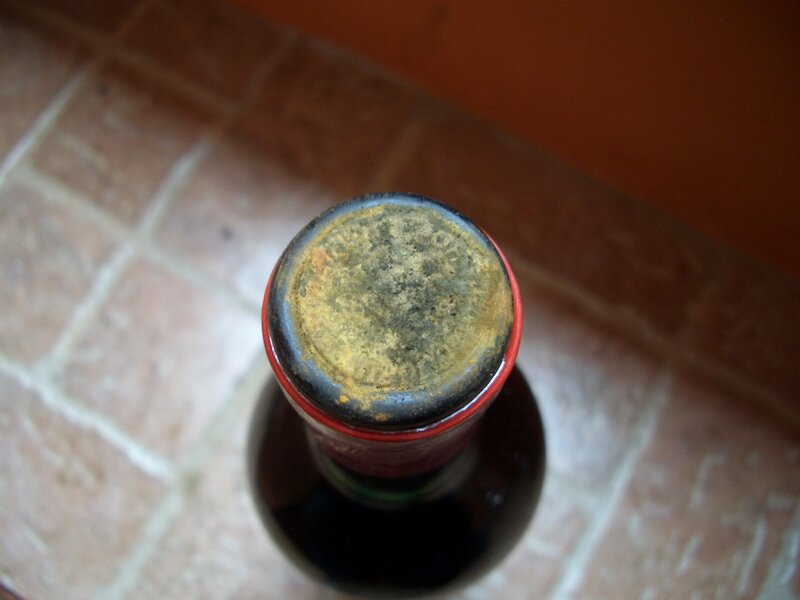 During my experiences with purchasing old wine from abroad, the vendors always tried to show the bottles as clean as possible with intact original labels and trying to zoom as much as possible on the fill level. A higher level wine will always be more expensive than a lower one as that is the proof of a better storage. They include also information about provenance. A dirty bottle doesn’t make the wine older. On the contrary: it is a sign of improper storage and the wine should be seriously discounted. Most of the prestigious International auction houses (Sotheby’s, Christie) try to give as much information as possible about the lots about to be sold. Usually, collections of wines that come from reputable wine collectors fetch considerable higher prices than the ones without a storing and provenance history. The highest prices are paid for wines that come directly from the Chateau’s cellars as there is no doubt about the storage history since those wines never left the cellar. This was the case of a lot of wines that came directly from Château Lafite Rothschild’s cellars in a Sotheby’s auction in Hong Kong. Any knowledgeable wine connoisseur pays attention to these important details when buying old wine: pedigree of the producer, provenance, storing history and price. The initiative of Artmark to organize an old wine auction in Romania is to be praised. However, attention needs to be paid to these important details known by any average wine connoisseur and most important of all: the pricing. To check all the lots of wines for this auction go here. 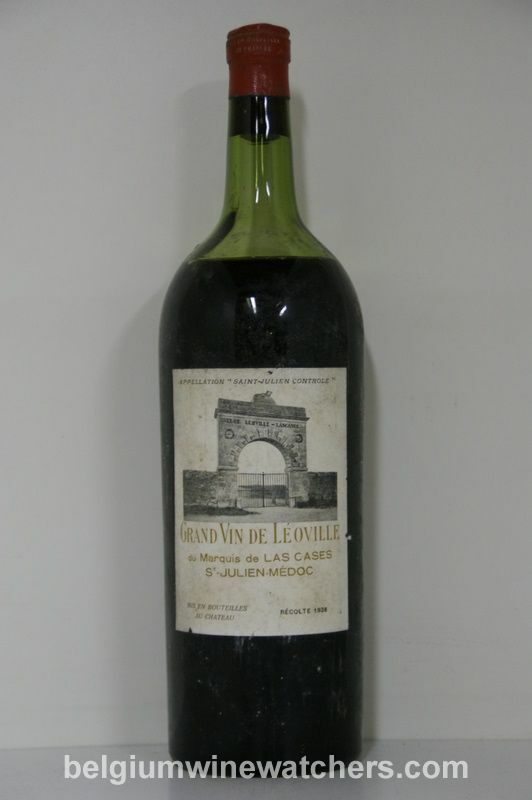 Me, I just bought this week a Chateau Ducru Beaucaillou 1966 with impeccable original label and fill level for the impressive amount of just 73 EUR. SUN was a day to rest and to take care of domestic stuff. I didn’t feel like going out, not even for lunch, and did not feel like cooking either, so my wife came with a good idea to order some Japanese food. 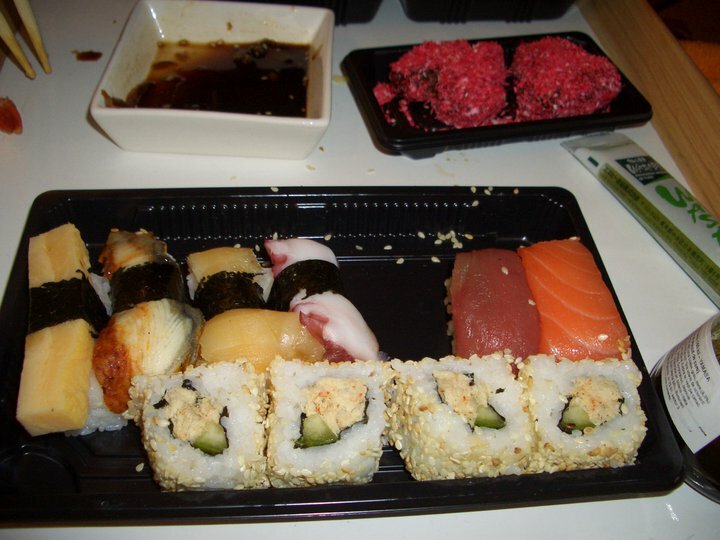 We found a catering/restaurant preparing Japanese and doing home deliveries therefore our late lunch was sushi and sashimi. We also ordered the “surprise dessert” which I am not sure what it was but tasted like chocolate and it wasn’t bad at all. 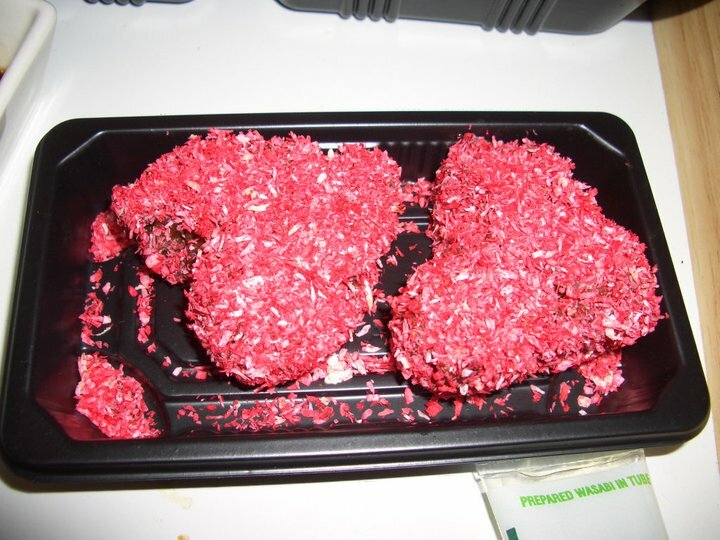 The restaurant was already prepared for Valentine with this heart shaped dessert. 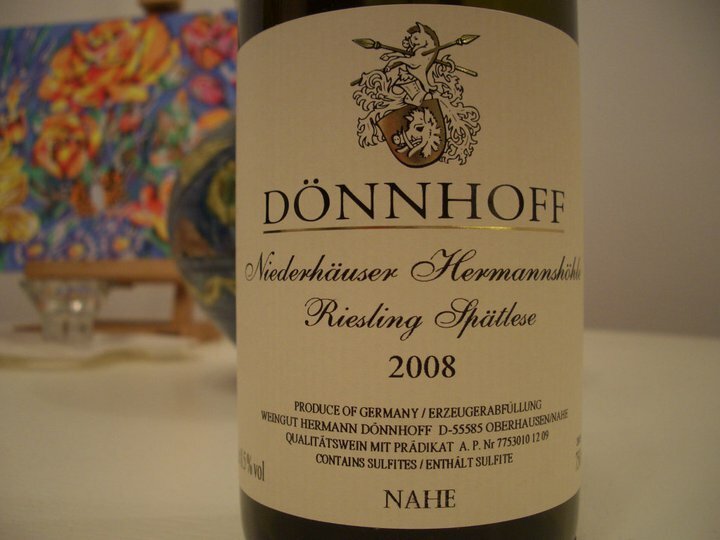 The wine I chose is a German Riesling from Nahe that I thought would go well with raw fish and soy sauce. It is useless to say that my wife fell absolutely in love with this wine. Delicious wine that has one major fault: after every sip you crave for more and the bottle finishes too quick. This stuff is addictive. At only 8.5% alcohol you can have a few bottles easily while still remaining sober but very satisfied. He labels the wines after each vintage as LC06 for 2006, LC07 for 2007 etc. So this vintage Champagne was served together with some really high quality Bellota Iberian ham from Carrasco, Guijuelo. More details about this ham producer you can read on an older post of this blog. 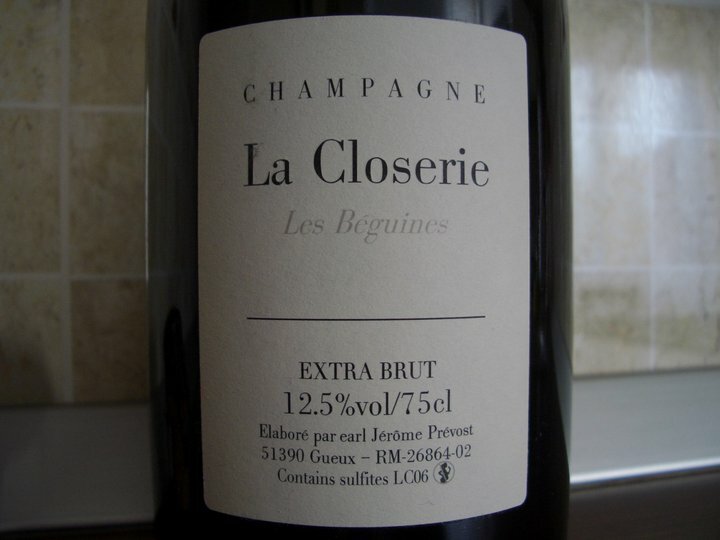 This Champagne is way above any Dom Perignon I had so far and it comes at a much lower price than the prestige cuvee of Moet Chandon. 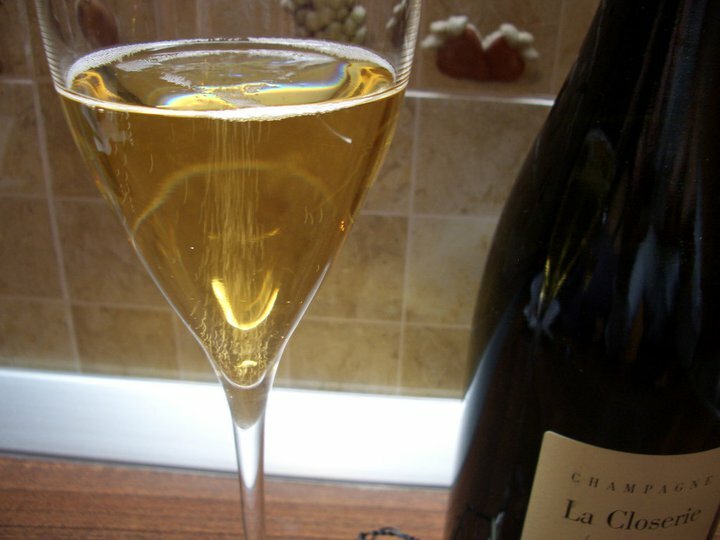 A Champagne to look for and try without any hesitation. Have yourself a Happy Valentine’s day next to your beloved one. I am a big fan of this producer and I always enjoy having any of their wines. I love their white – Tete de Belier blanc (you can read my comments on the 2008 here) and the reds are also consistently very good: the 2005 Tete de Belier rouge and the 2007 Clos du Pic. Last time I had the 2004 Tete de Belier rouge was more than 1 year ago. The wine has evolved very well during this last year and became a delicious wine. I had a beef tongue in my freezer that I was eager to eat so last evening I did a little bit of home cooking preparing a dish to match this wine. 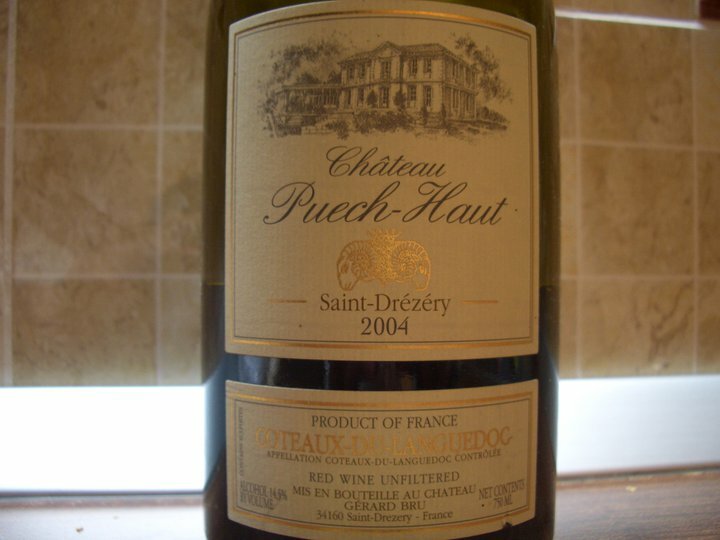 As this is a wine from the South of France – Languedoc – I thought a Provencal sauce for the beef tongue would go well and it did. 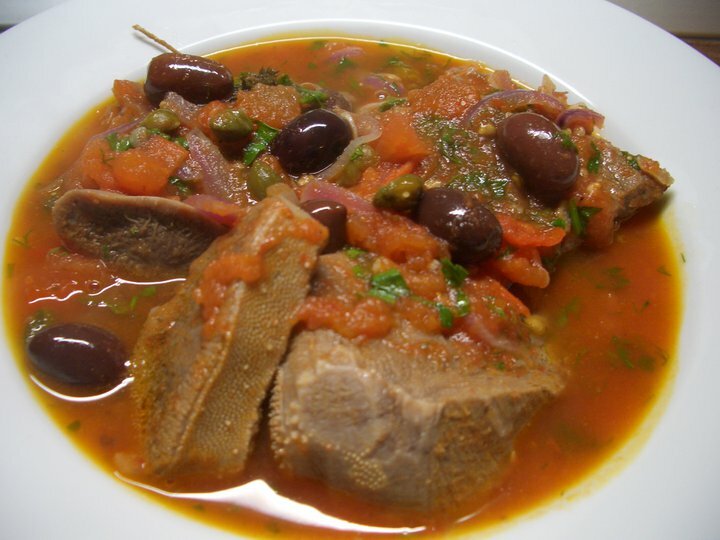 The olives, capers and the thyme from the dish found similar flavors in the wine. The wine is a blend of 75 % Syrah, 15 % Grenache, 10% Mourvèdre and aged for 18 months in large French oak barrels. Their yields are around 2 tonnes per ha for each grape variety. 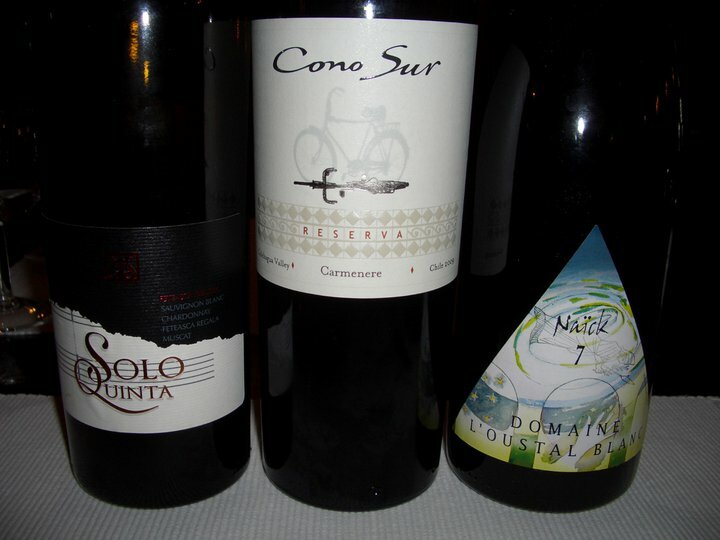 Yesterday I had dinner with my buddies Dan and Alex at a friend’s restaurant so I was able to bring my own wines. 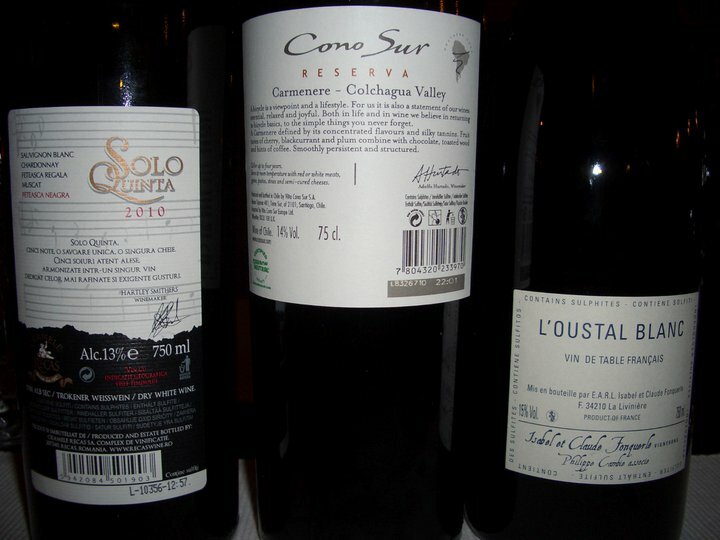 I was looking forward for this dinner as I wanted to taste two of the wines I received as samples from Recas wineries (Cramele Recas): Solo Quinta 2010 and 2009 Cono Sur Carmenere Reserva plus a Vin de table rouge from Minervois brought by a friend. So here are my impressions about the wines. Blend of Sauvignon Blanc, Chardonnay, Feteasca Regala (Royal Maiden grape), Muscat and Feteasca Neagra (Black Maiden made in white). The wine was bottled recently so a couple of months more in the bottle will most likely make it even better. I remember tasting this wine in November during the Good Wine fair at Recas booth as they had some tank samples and I can say now this is a completely changed and much improved wine compared to November. The white wine was by far the star of the dinner and appreciated by all the participants around the table. Most likely the Solo Quinta will develop and be scored higher in a couple of months. Let’s see.